It is capable of retaining up to 10 times its weight in water. 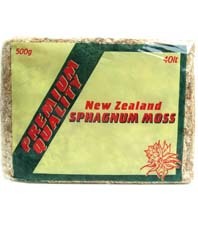 Sphagnum moss also contains an antiseptic which inhibits the growth of some fungi. Norman's Orchids have been growing phalaenopsis in sphagnum for the past years. Phals responded with massive root system. We leave orchids dry between watering has the best results.